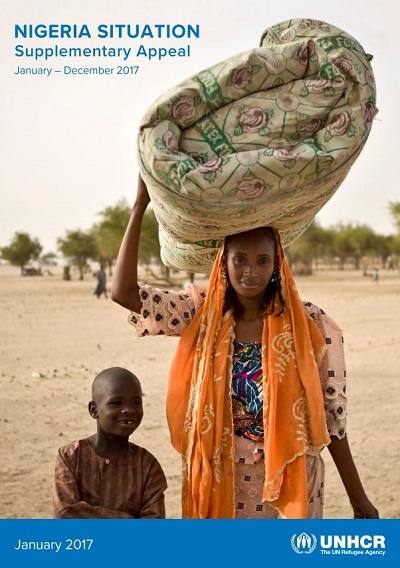 Since the outbreak of the Boko Haram insurgency in 2009, the crisis has steadily become the single greatest cause of displacement in the Lake Chad Basin region, with over 2.6 million people becoming refugees, internally displaced people (IDPs) or returnees as a result. In Nigeria, the number of IDPs has increased more than two-fold in the span of three years, from more than 868,000 people identified in December 2014 by the Nigerian Government in the north-eastern regions to 1.7 million in December 2016, according the Displacement Tracking Matrix (DTM) report released by the International Organisation for Migration (IOM). As Boko Haram has been pushed back by the military in 2016, the conflict has spilled into neighbouring countries, with increased infiltration, attacks and recruitment by the armed group, prompting refugee and returnee movements from northern Nigeria across land and water borders to Cameroon, Chad and Niger. Growing insecurity in the region has led to an increase in the number of refugees by more than 25 per cent in two years, from 150,000 individuals reported in November 2014 to more than 200,000 in December 2016. New refugee arrivals are anticipated to continue in the course of 2017. Furthermore, over 90 per cent of forcibly displaced people are displaced within their own countries as cross-border insecurity continues to create waves of internal displacement and disrupt normal economic activities in areas of Cameroon’s Far North, Niger’s Diffa and Chad’s Lake Chad regions. While the Boko Haram conflict continues to evolve, trends analysis shows that forced displacement in the region remains significant and difficult to predict, with daily populations movements observed inside Nigeria and cross-border. The vast majority of IDPs and Nigerian refugees have expressed an intention to return to their areas of origin but many continue to cite significant barriers to return, including lack of security and lack of access to food and shelter. Nevertheless, significant numbers of Nigerian refugees have returned from neighbouring countries of asylum, sometimes under circumstances deemed by UNHCR to fall short of international standards, including adherence to the principle of non-refoulement. Among the estimated 164,000 refugee returnees, including more than 100,000 identified in Borno State, some are in IDP or IDP-like situations and in need of registration services and reintegration assistance.